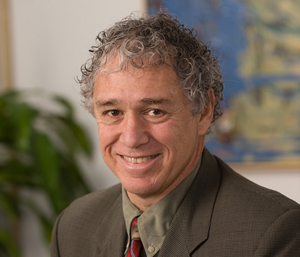 Michael Lichtenstein is a seasoned litigator who is recognized for his excellence in Best Lawyers in America, Best Lawyers in Washington, DC, Maryland and DC Super Lawyers, the Washingtonian, Smart CEO and in Chambers and Partners, which notes his “quality” as both a lawyer and mediator. Michael has delivered successful outcomes for financial institutions, creditors’ committees, creditors, property owners, debtors and equity holder clients in Chapter 11 proceedings in a dozen states, including Maryland, DC, Virginia, West Virginia, Delaware, Pennsylvania, New Jersey, Tennessee, California and New York. He has helped clients in a wide range of industries, including telecommunications, defense, real estate, technology and retail chains, in matters ranging from $25 to $400 million. Debtor and creditor clients in or facing Chapter 11 proceedings have found Michael’s background as a corporate board member and his business focus a tremendous asset in successfully navigating the process. Michael represents clients from a variety of industries in the purchase or sale of assets in bankruptcy proceedings. He also provides expert witness and mediator services in Chapter 11 matters. In addition to representing companies in bankruptcy and restructuring, Michael delivers successful outcomes in commercial litigation matters involving contracts, securities, telecommunications, construction, commercial real estate and intellectual property matters. He litigates in state and federal courts across the country and has argued several times before the United States Courts of Appeals for the Fourth Circuit and Third Circuit. Michael is a shareholder in the Litigation and Business and Financial Services Departments, chair of the Bankruptcy, Restructuring and Creditors’ Rights Group, and a member of the firm’s Board of Directors. 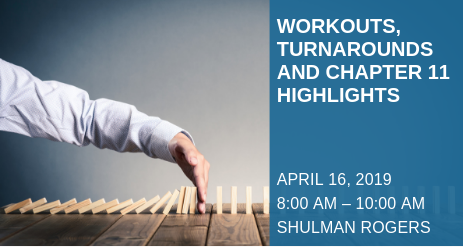 Prior to joining Shulman Rogers, he was a litigation and bankruptcy partner at Swidler Berlin, L.P. in Washington, DC. 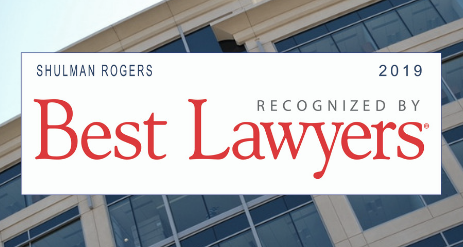 He has earned an AV Preeminent rating from Martindale-Hubbell, a recognition of excellence from both his fellow attorneys and the judiciary. Successfully represented Redox Power Systems, LLC, a solid oxide fuel cell company, in its Chapter 11 proceeding. 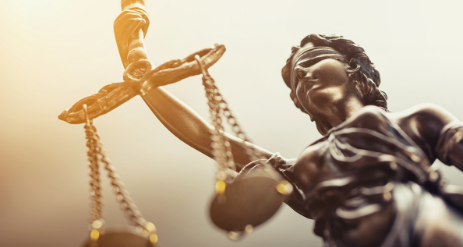 After four months of intense litigation and a four day contested confirmation hearing, the United States Bankruptcy Court for the District of Maryland confirmed Redox’s plan of reorganization in a 32-page opinion. Settled state court breach of contract and breach of fiduciary duty limited liability litigation that resulted in multi-million dollar payment to clients. Obtained order converting Chapter 11 to Chapter 7 proceeding in case involving solar energy and cryptocurrency. Won an appeal in the United States Court of Appeals for the Third Circuit affirming the lower court’s decision that lending institution client had a first lien priority on the borrower’s assets on account of a $3.2 million loan and allowing the bank to collect $1.2 million being held in the court registry. Successfully settled a $6 million suit filed for plaintiff in Montgomery County Circuit Court in Maryland through the use of mediation that resulted in monthly payments to client. Appointed by a Maryland Bankruptcy judge as a mediator in a large Chapter 11 proceeding with a trustee who sued several defendants over significant multi-million dollar disputes about lien priorities and entitlement to sales proceeds. Successfully defeated motion to dismiss lawsuit in federal court in Greenbelt, Maryland in suit against insurance company for coverage related to fraudulently issued $1 million letter of credit. Won Board of Immigration Appeals’ affirmance of immigration judge’s grant of asylum for pro bono client from Guinea who fled the country because of religious persecution. The BIA affirmed the immigration judge and then denied DHS’ subsequent motion for reconsideration. Successful representation of pro bono client from Burundi seeking asylum before the Board of Immigration Appeals. Chapter 11 Structured Dismissals: Viable Exit Strategy or Impermissible Under Bankruptcy Code?